I’m on spring break, so I don’t want to spend too much time writing my review this week, but I figure I should post something just to stay up-to-date. So, after a two-week break, Modern Family was back with a new episode last night, and I have a quick review of it after the jump. 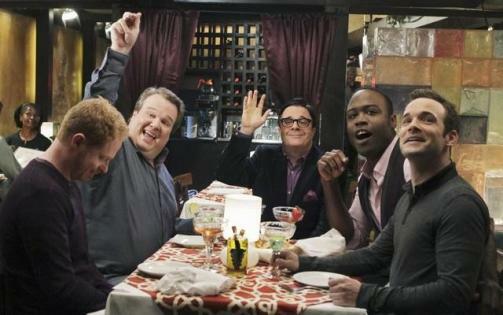 I have a review of last night’s Modern Family coming up after the jump. There was a new episode of Modern Family last night, and I have a review of it after the jump. After a couple weeks away, Modern Family returned with a new episode last night, and I have a review of it after the jump. The Dunphy kids bring their parents breakfast in bed on "Modern Family."